In the past 5 months, as a Firefox extension, Test Pilot attracted more than 12,000 active daily users to help testing our products. Over 7000 people sent their test data back to Mozilla. We have conducted 3 studies, including Tab Open/Close study, A Week in the Life of a Browser- Bookmarks study and Accounts and Passwords study. All things we leaned from our users will directly help to inform your next version of Firefox and related services. You are also welcome to download our sanitized, anonymous and aggregated data samples for your own research. 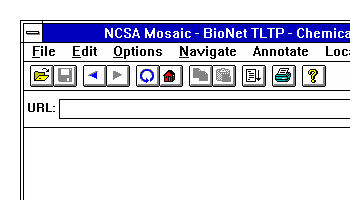 “Ever since Mosaic 1.0 Web browsers have had a menu bar. However, this menu bar has always illogically followed the design of a standard desktop publishing application, containing top level commands like File and Edit, even though these commands are not always directly applicable to the primary functionality of a Web browser,which is generally not limited to document creation and editing. To streamline the Firefox user interface, and to match the overall interactive design of Windows 7, the Firefox UX team is exploring collapsing the menu bar into a single “application button” when Firefox is running on modern versions of Windows. * Which menu items are the most commonly used? * Which menu items are the least commonly used? We are planning to roll out this study on the first week of February, and it will last about 5 days. For everyone who is interested in this study, you will be able to see your own usage data visualized on your computer, before you submit the data. We WON’T record any personal information, such as history items. Instead, we will only count the interactions with fixed standard menu items that used across different platforms. You can also choose not to submit the data at the end or leave the study if you are not comfortable with it. So buckle up, join us in the new study from Test Pilot! For more detail about this study, please read the full study introduction! The “application button” seems a lot like the extremely popular Personal Menu extension. Not that this is a bad thing, I’ve felt its functionality should be built into every browser for years. I would love for the application button to retain personal menu’s customizability. Please just don’t draw premature conclusions from the results. For example, I almost never use the Character Encoding menu item, and I will not mind if it gets one level deeper into the menu hierarchy as a result of collapsing the menu into one application button. But if it were removed, that would be a severe blow, and would force me to use other browsers to view certain pages. I agree, this is a good idea and it’s great that you’re doing this kind of testing. It really embraces the ideas of the open web. It might be worthwhile examining *how* the menu is accessed, in some way. Observation time might be negligible when accessing Preferences because the user has grown accustomed to typin Alt+E,N very quickly, for example. Distinguishing types of access might yield further insights into the actual meaning of observation time with keyboard versus mouse. Just out of curiosity, what does this mean for Mac Firefox, where the menu bar itself is more of an OS-integrated paradigm? I’m thinking of ways it could be reorganized, or that just the first “Firefox” menu could be used. Or is it to become divergent in that area from the “modern Windows” versions? A very good idea for a Test Pilot study! I just hope you won’t add frequently used menu items like “copy” or “refresh” to an app button. Turning the “tools” menu (used in other browsers and posted in some mockups) into an app button does make sense to me. A “page” menu could then be part of the location bar or something. Please don’t place everything in one spot, just because it uses little space then. I think most pc users have enough horizontal space to accodomate something on the navigation toolbar.